We are always connected. Is there any place in this world where we cannot receive any SMS, email or even a phone call? Even in a desert or in the middle of a sub-tropical jungle things are possible. But there was one place in which we were forced to be off-line. There was one magical place that phones, smartphones, tablets and other laptops were out of the grid. One place in which for once you could just relax and enjoy some hours only for yourself. This place is called a plane. While traveling in a plane you could not take any calls, responde to any SMS or browse the internet and answer emails. It was forbidden as this could short-cut the aircraft technology. If you were traveling for business or for lesure this was a moment in your life that you could use to sleep, relax, have creative thoughts or simply enjoy the company of your seat neighbor. And now all these peaceful moments are almost gone because of this four characters dirty word: W.I.F.I. 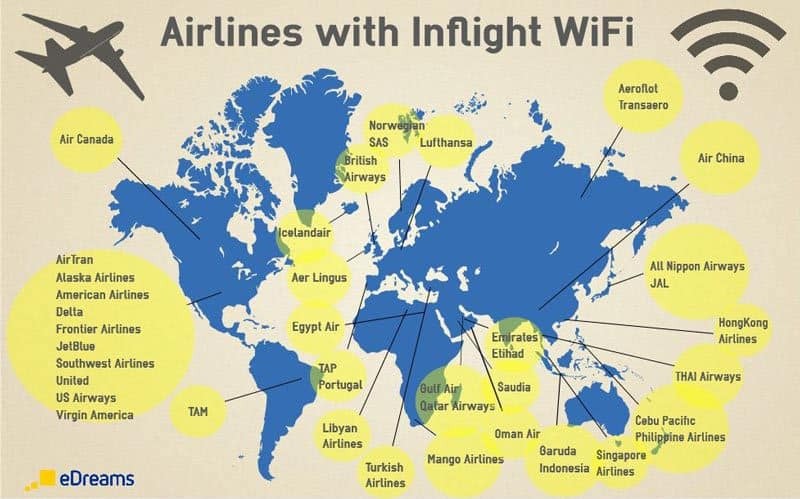 Since aircraft companies started adding wireless internet in their planes, people can now connect to their lives easier, cheaper and more efficient. Welcome to the always-connected life. Why electronic communication devices would generate problems in a flight? The situation has been like this for years, especially for mobile phones. In lower altitude, mobile phones search continuously for a signal, bumping from one antenna to another. This electronic ping pong can change the normal path of the plane guiding waves, which could be translated into distance or altitude mistakes. Obviously technology is an ongoing evolution. 20 years ago, aircraft companies tried to implement satellite phones. By swipping your credit card you could easily place a call for a very expensive fee. It never really worked and it was abandoned quite fast. In today’s world, smartphones have brought the entire internet to the palm of your hand. 4G allows high-speed connections everywhere and the off’line world was reduced to a very few places. Even remote places might get internet very soon thanks to air ballons relaying the signals. So probably only airplanes are the last golden el dorado for a non-connected place. When you are a luxury traveler, you do expect to get this kind of service. While some people might get frustrated to not have access to emails, sms, calls, youtube and other snaps, let’s be honnest, airplanes are the only place you can really relax and focus on yourself or on the people around you. When you are flying for business and you have at least a 6 hours flight, that’s probably the only moment in your business career that you can rest, watch a movie, have a creative thinking or have an informal discussion with a colleague, boss or employee. Sometimes when you are heading to a very important meeting in a long flight, you can also use that time to think about the meeting, refocus and maybe get a better result. This can be done because you are not polluted by emails, incoming phone calls, sms, mms, social media notifications, etc. As we can see, there are many airlines offering this service, obviously not in all flights or all aircrafts. So you might want to call before booking your trip in order to organise your internet connection. From a internet source point of view, either the internet flow comes from the ground (antennas) or/and from the air (satellites). Both ways require a good balance between reach and signal intensity. 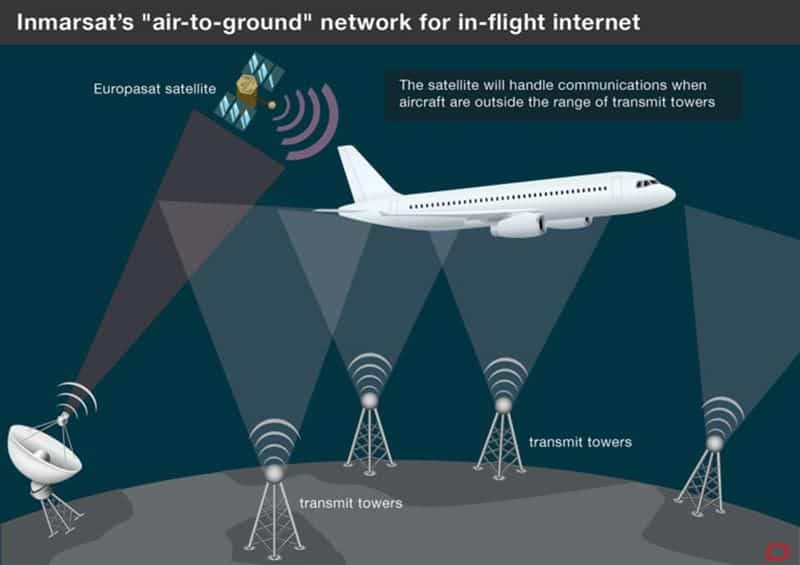 If an aircraft is crossing an ocean, obviously ground antennas will not work. Using satellites means a few hundred milliseconds more latency since the data packets need to go 22,300 miles up to the satellite, then roughly 22,300 miles back down to the airplane. 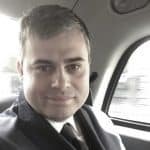 New constellations of low earth orbit (LEO) satellites providing lower latency high bandwidth connections are in development since 2015, e.g. by SpaceX. Installed base not large yet but growing, targeted initially for routes between the U.S. and Europe As the airplane flies, the antenna on the top of the plane is steered or electronically aimed to stay pointed at the correct transponder on the satellite up in orbit. For long-haul flights, there will likely be a handoff from one satellite to another when moving between coverage areas. This happens via coordination on the ground, and the airborne users may only notice a very brief hiccup. From the satellite’s viewpoint, it switches airplanes from one transponder to the next as it moves between the beams pointed at the ground. If the method is ground antennas, a network of ground cell towers across the land will be deployed (therefore does not work over water). These towers’ cells are much larger than those of the typical cell towers used for phones. As the airplane flies, the connection hands off from one tower to the next just like your phone does when you’re driving. Users don’t notice any interruption. The network infrastructure is much cheaper than satellite and the bandwidth for the newest generation system (ATG4) is up to 9.8 megabits per second (Mbps) per airplane (shared across all users). This is enough for email and casual web surfing, but would get quickly exhausted if people stream video – so this is usually blocked. Testing is continuously improving technology and we can see there is an important pressure on this. Society evolution will require that at one point internet will flow wireless in all aircraft cabins and at the same time people will loose this unique relaxed moment. People will use whatsApp for calls and messaging, Periscope or Facebook live for video and it will be the end of peace. Airlines will need to deal with a new aspect of communications and the risk that passengers will annoy one another. At the same time, internet is allowed in trains and so far so good. Let’s hope for the best. Info sourced in CNN.com, cntraveler.com, Forbes, theverge.com, wikipedia and VanityFair. All content is copyrighted with no reproduction rights available. Images are for illustration purposes only.